NOTE: Private training is also available upon request. Contact Nancy with any questions. All levels of Reiki Training Pre-requisite: A 60-minute Reiki session with Nancy is required before attending a Reiki Training class. A $10 discount is applied to your Reiki training. Reiki I begins with healing oneself and is a great class for anyone wanting to deepen their meditation practice and personal connection to the healing arts. No experience is necessary, only a desire to learn more about the Eastern philosophy of wellness. Reiki is based on the Eastern philosophy of maintaining wellness as opposed to the Western philosophy of treating illness. The primary focus is the teachings of the Usui Reiki philosophy (manual provided). Reiki means spiritually guided life force energy. It works by connecting to your own Ki, Chi, Prana, life force energy, clearing and balancing it on a cellular level. What is meant by that is each cell in our body is filled with emotional and mental trauma and Reiki assists in clearing that trauma. The training will conclude with a Reiki I attunement ceremony and receipt of certification. Note: Nancy has been approved by the Pennsylvania Massage Therapist Board to offer Continuing Education Credits, and you will receive a certificate at the end of this course. Click here to purchase. Incorporate the principles of Usui Reiki with sacred symbols and learn ways to utilize these symbols, such as sending long distance healings. Manual provided with symbols. Conclude with the Reiki II attunement ceremony and receipt of certification. Afterwards, there will be a hands-on usage of symbols in a Reiki session. Your Reiki II training also includes, generally a month after your training, a continuing education hands-on class to review and practice the skills learned during the original class and an opportunity to ask questions. Click here to purchase. A completion of Levels I and II is required as well as full utilization and proficiency of the Level II symbols. A disciplined practice of the Usui Reiki principles must be in place and daily usage of Reiki on self and others is required. Proficient use of all symbols learned in Reiki II required. Sacred Master symbols will be revealed and usage of these symbols will be reviewed and discussed (manual provided). 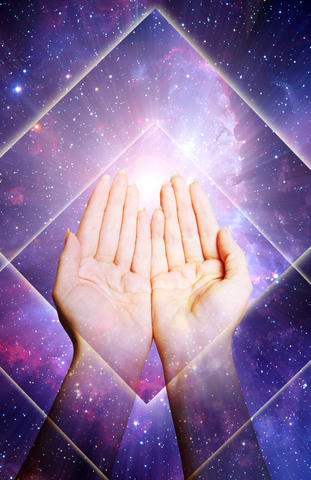 Conclude with the Reiki Master attunement ceremony and hands-on use of the Master Symbols. Click here to purchase. Have you been trained in Reiki but would like a renewed attunement to get you back on the journey of using “The spiritually guided life force energy” on yourself and others? Call Nancy at 484-876-1048 to assess your needs and schedule your reattunement. As a professional with over eight years of service in the field of Reiki Energy Work, Nancy believes Usui Reiki is a way of living and mentors and teaches how to implement Reiki in all aspects of life. Her Reiki program is designed for everyone not just those who wish to be practitioners. When a person becomes certified in Reiki with Nancy, she personally offers continuing education and mentoring for all levels every step of the way. Continuing education classes for level two and master are typically offered quarterly throughout the year with a maximum class size of four students. Each class discusses implementation of Reiki in life and hands-on training in her studio. Each student has the opportunity to ask questions of their peers and receive mentoring from Nancy personally, throughout each class. The class is roughly 1.5 to 2 hours in length. Level one students are offered self-healing meditation offered quarterly throughout the year as well. This mentoring and training is only offered to Nancy’s students. This requirement is in place as it ensures the high level of training, aligned with her ethics and integrity. This stipulation is not to be judgmental, merely honoring the level of professionalism that Nancy represents. If you have trained with Nancy at the Awaken With Light Studio on the different levels of Reiki training, you may find that you need a refresher class to further assist you with the symbols and skills of your level. If you have not trained with Nancy in the different levels of Reiki, please contact her to assess your reattunement needs. Testimonial: “I just wanted to thank you again for today! I felt safe and so fulfilled! You are an amazing spiritual teacher. You have the ability to make your students feel safe and comfortable. You are truly authentic! I’m so glad I was led to you!” Michele D.
Testimonial: “Thank you again for sharing this tool of Reiki. I have been having fun playing with this new information, with great success. The most remarkable, for others to witness, happened a few days ago. We had grilled shrimp on the grill for tacos. Well, the metal pan fell, and I immediately tried to pick it up … not my brightest moment 🙂 Anyway, my fingers stuck to the metal. I had to pull them off, and the pan design was imprinted on my fingers. Six fingers (3 on each hand) were burned and blistering. I used my Silva training to stop the pain, bandaged fingers and ate ice cream. In the night, I woke up with my fingers throbbing. My immediate thought was to use the Reiki energy. I started with my head and worked down through my chakras, not focused on the fingers, but the energy was moving through them. Worked for about a half hour and fell asleep. When I woke up the next morning, all the blistering was gone, on all fingers, and only my thumb had a tender area. By the next day, that was gone as well. Remarkable stuff! Thanks again.” – Jen B.